Young schoolteacher Benjamin Tallmadge--with his trusty horse Highlander--enlist in George Washington's army to partake in the Battle of Long Island during the American Revolution. Tallmadge, spurred by the cry for freedom at Lexington and Concord, sacrifices his career and his dreams to join Washington's army. Tallmadge and Highlander face fiery combat at the Battle of Long Island in August 1775. The young man grapples with the realities of being a soldier—the blasts of cannons, the smell of gunpowder, the relentlessness of the enemy. Will the battered Americans escape from Brooklyn unhurt? 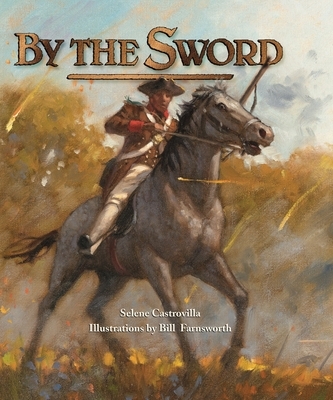 Selene Castrovilla has woven Benjamin Tallmadge's own account, along with details from primary-source documents and extensive research, into this thrilling narrative of one of American history's most harrowing moments. Selene Castrovilla lives in Barnum Isle, New York, not far from where the Battle of Long Island took place. She holds an MFA in creative writing from New School University and a BA in English from New York University. Bill Farnsworth is a graduate of the Ringling School of Art and Design. He has created paintings for magazines, advertisements, and children's books as well as commissioned portraits and landscapes. His children's books have received the Young Hoosier Book Award, the NAPRA (Network of Alternatives for Publishers, Retailers, and Artists) Nautilus Award, and the Lee Bennett Hopkins Poetry Award. He lives with his family in Venice, Florida.